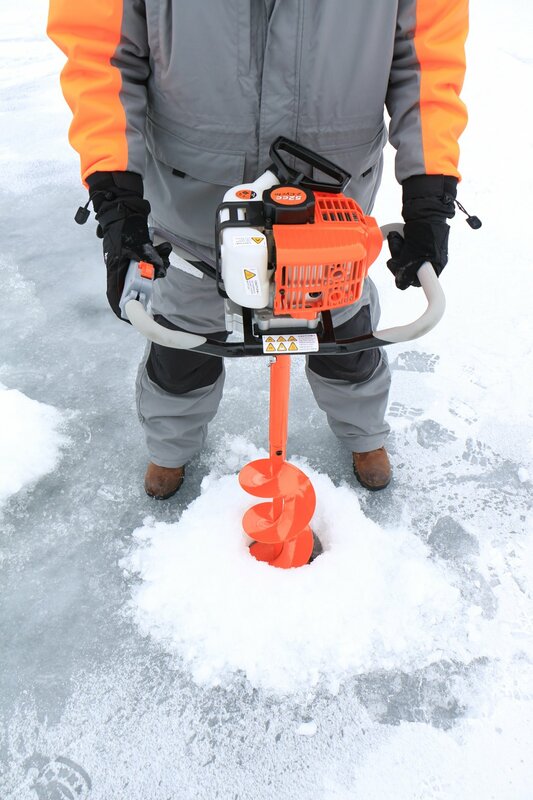 The Trophy Strike 2 stroke ice auger was designed and engineered in the frozen lakes of the Rocky mountains. 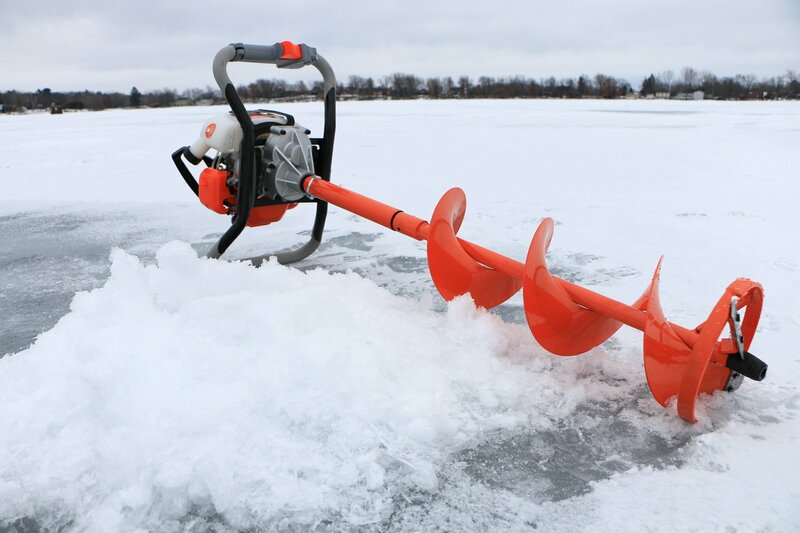 Our engineers combined the power of the 52cc high compression engine and 8″ auger into a package that is perfect for the toughest ice. 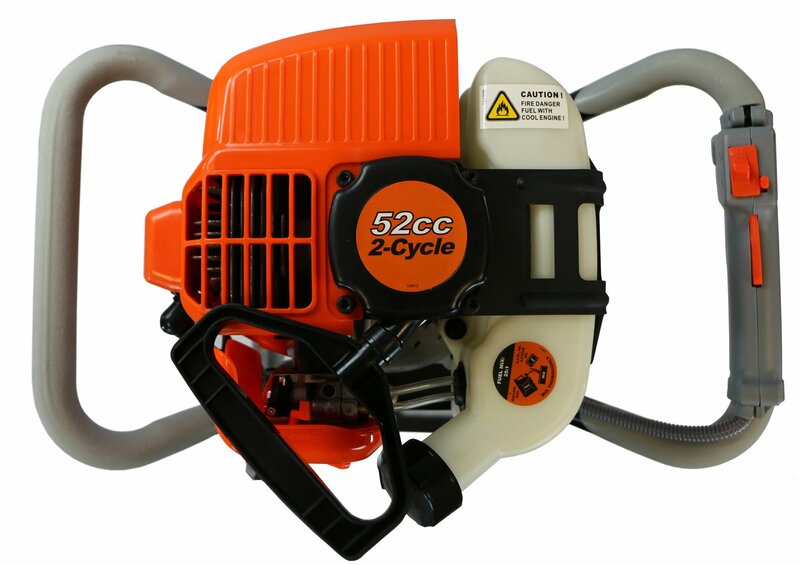 This direct drive unit provides high performance drilling of holes up to 31.5 inches deep while still being light enough to carry easily. Convenient features such as idle lock, throttle switch and glove friendly controls help tame the cold. 110- 280rpm speed and runs on 25: 1 gas to 2-stroke oil. 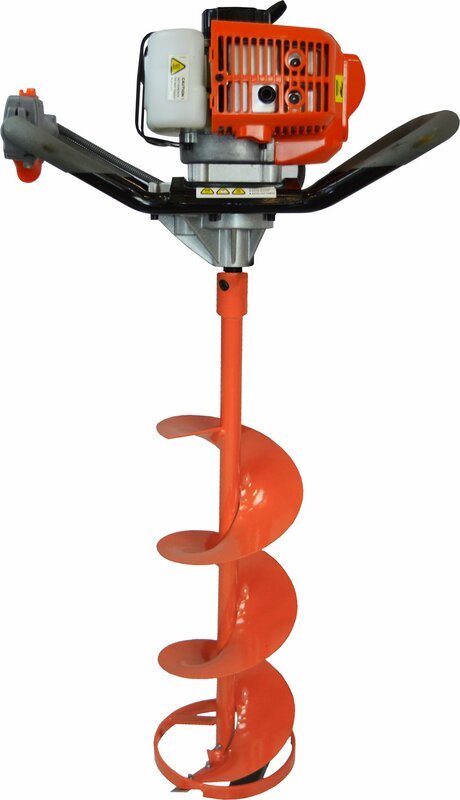 The Trophy Strike gas auger comes with everything you need including the 8″ ice auger. Just add gas/oil mixture and go. Trophy Strike is a Colorado based company and we are here to help you land the big one. AUGER blades are a consumable item not covered under warranty.